My website offers a full search of current homes for sale in Sarasota, FL, and surrounding communities, updated daily from the MLS. Take advantage of my up-to-date listings by saving your search. You’ll be the first to know when new properties hit the market that match your specific search criteria. If you have questions about any of the homes or condos in your search results, just click the "request more info" button located on the detail page of each property listed. "We are so grateful to Ellen for her expertise, experience, and professional performance. We met Ellen while looking for a downtown Sarasota condo – she listened to our needs and wants, and she provided us quickly with exactly what we wanted. We were able to get an immediate contract on the property and close extremely quickly even though we were out of town. We never could have done it without Ellen! " "We have worked with Ellen several times now and intend to do so in the future. Ellen listens to one's needs and requirements and acts accordingly. She is diligent and hard working and is always elegant and stylish when meeting with prospective buyers. She has assisted us in purchasing a down town Condo in Sarasota and sold a property for us in the same Vicinity. She also acted for us when we purchased a model home as an investment property. 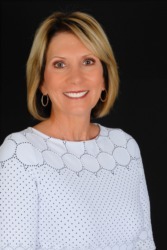 We would recommend Ellen highly for any of your Realtor needs." "Ellen is a true professional that doesn’t miss a detail throughout what is often a trying and stressful process. Ellen handled the sale of our home and assisted us for the build of our new one. Many times she was on top of what the other parties should have been doing to ensure that the transaction went to closing. She has successfully sold and helped us purchase multiple properties!" "As a practicing dentist, I interact with many professionals on a weekly basis. I had the privilege of working with Ellen Gesell on several occasions. She not only met my expectations, she far exceeded them. She worked very diligent and efficient in meeting my needs. I was confident in her representation and I’m sure you will be, too! I enthusiastically recommend Ellen Gesell. She will be an asset to anyone in need of an outstanding agent!"